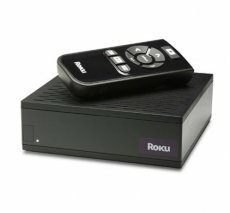 Roku customers are in for a new pay-per-view treat: Amazon Video On Demand is coming on the Roku digital video player. "We are excited to give our customers access to Amazon’s massive catalogue of top movies and TV shows – including many new releases", said Anthony Wood, Roku CEO and Founder. "The launch of Amazon Video On Demand on Roku demonstrates our commitment to creating an open platform that instantly delivers the entertainment consumers want directly to their TVs." The Roku digital video player is available for $100 and will enable users to browse and take their pick from Amazon’s library of over 40,000 movie and TV titles. New movies will cost $15, older titles $5 less and so forth. Current Roku customers will receive a free and automatic software update sometimes next week, which will allow them access to the Amazon Video on Demand service. The company added that customers will continue to have access to Netflix Instant Watching, meaning over 12,000 movies and TV episodes for a low monthly fee.